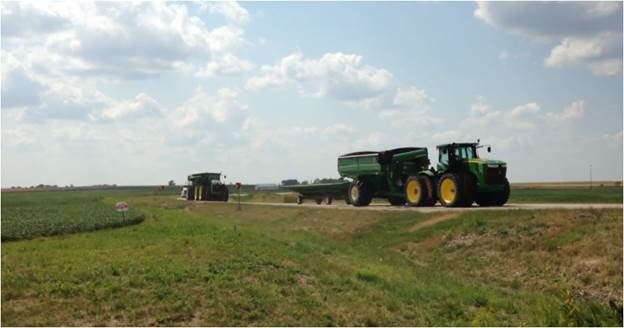 It’s Fall in Northwest Illinois and Soon The Harvest Will Begin – Let’s Exercise Care on the Roads! In Northwest Illinois we always must share the roads with farm machinery, but this is particularly true during harvest season. Remember that farm machinery travels much slower than normal traffic, so be prepared to slow down to avoid crashes when you see farm equipment or when travelling in rural areas. This entry was posted in Farming and tagged watch for farm equipment on September 23, 2015 by Good Day Illinois.